Have you ever felt white, hot shame? The kind that shoots right to your core and makes you feel horrified…even though you aren't really sure what you’ve done wrong? If you're a woman, then I'm guessing you have… probably more than once. My guest this week, Tammy Leitzel, knows this feeling intimately and has made it her mission to stop it and help women take back their power once and for all. I'm definitely a tale of two extremes. I was raised as a Mennonite but I ultimately went on to teach exotic dancing for every day women. She shared with us the story of the first time she felt white, hot shame flash through her body and how it affected her for years to come. I was 10 years old talking to a little boy… the preacher decided to make a show of me by getting down off the pulpit. He came over, stood right in front of me, waggled his finger in my face and said, "Now, now, you don't want to be one of those women…do you?" I didn't know what 'those women' were, but I could tell it was very, very bad. I knew it was something about my sensuality , but since I didn't have any other definitions I let it define me…so I let it shut me down, because I didn't want to feel that fear, shame or embarrassment ever again. Tammy understands now that most adults are trying to protect, not harm their kids when they do or say these kinds of things. Unfortunately, the result, when our fear guides us to shame our kids, is it weakens them and detaches them from their own intuitive guidance. Despite leaving her Mennonite community to attend college and consequently land a job in the city, Tammy couldn't escape that feeling of shame. When I would see other women, who, on a Friday or Saturday night would be going out to a club wearing low cut shirts or short skirts, I would get the same white hot feeling of shame. Yet at the same time, now as an adult, I was very intrigued and wished I could have a little bit of that because they look so free and they're having a lot of fun. At 20 years old Tammy signed up for a dance class, which ultimately gave her permission to reconnect with her body. The woman who finally broke this cycle for me was actually a professional stripper with 23 years of experience. I signed up for her class at an adult learning studio – it was called Exotic Dancing 101 – and, when I walked into that class I was extremely judgmental of her. She had the long fingernails, the fake tan, the hair extensions…the stance and the prance, as I call it. I thought…oh no! I do not like you…I am not like you…I don't want to be like you. But there were other women there (a mom with 4 kids, a breast cancer survivor…) so I thought, I'm not going to be the one to leave… She ultimately sat us in a circle and told us, it's okay to move your body in any way you want to move your body and I started crying because it broke down a wall for me. That is something I would have wanted my mother or the women in my family or my culture to have taught me. Tammy is now a mother of 3 children, including two daughters (12 and 10 years old), which has fueled her passion to help other women break free of this debilitating pattern and help eliminate (or at least really minimize) the shame-game for good. We covered a lot of ground in this interview including: when Tammy believes girls first feel shame; how being honest with your daughters can help them deal with these experiences in a healthy way; how to bring out the natural resiliency in your kids; how to help your child ward off potential predators; and even the personal responsibility that comes with being free to be you. She shared how sensuality is women's personal power and how it needs to be encouraged and explored by each individual woman, so they can find their own edges, set boundaries and feel comfortable in their own skin. It's a really confused, complex mess right now and it keeps us women in a state where we are easily manipulated, abused and just made fools of and it's time for us to get out of that and step into our personal power. Tune into the podcast for some excellent insight into how this type of shaming hurts us all and what we can do to end this vicious cycle. 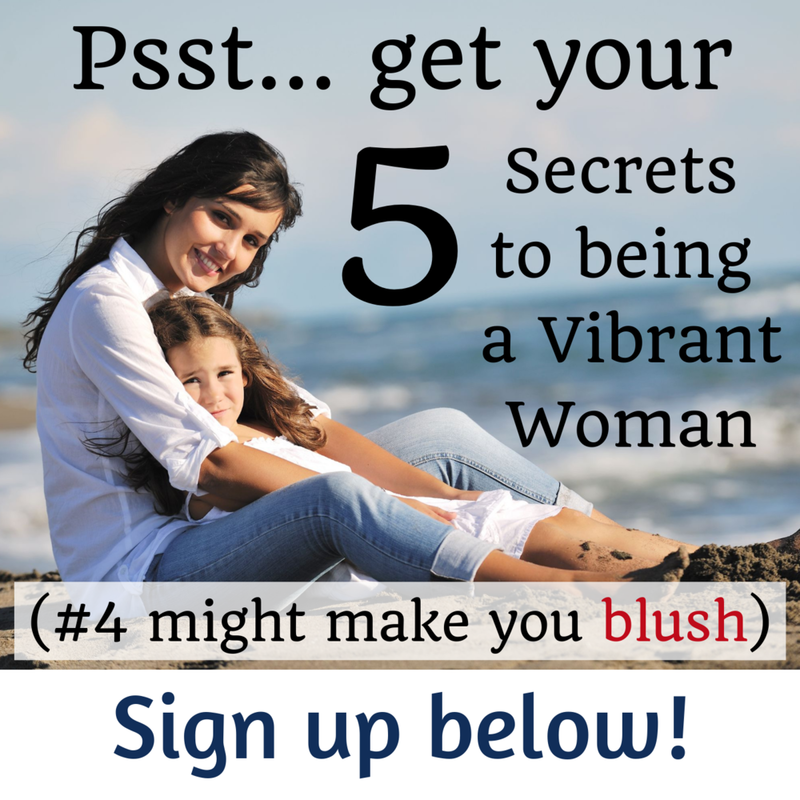 Tammy's vibrancy tip: Allow your children to see that you are in fact a woman also. Be the person that you want your children to grow up to be. I encourage women always to strive towards being empowered. Stand up for your rights while being respectful of others and be able to address the important and sometimes scary topics without using fear or manipulation on your kids. Tammy will be back on the Vibrant, Powerful Moms Show this fall talking about how to unlock & utilize your playful power for maximum effectiveness, so be sure to keep an eye (ear?) open for that episode. Want to hear more from Tammy?